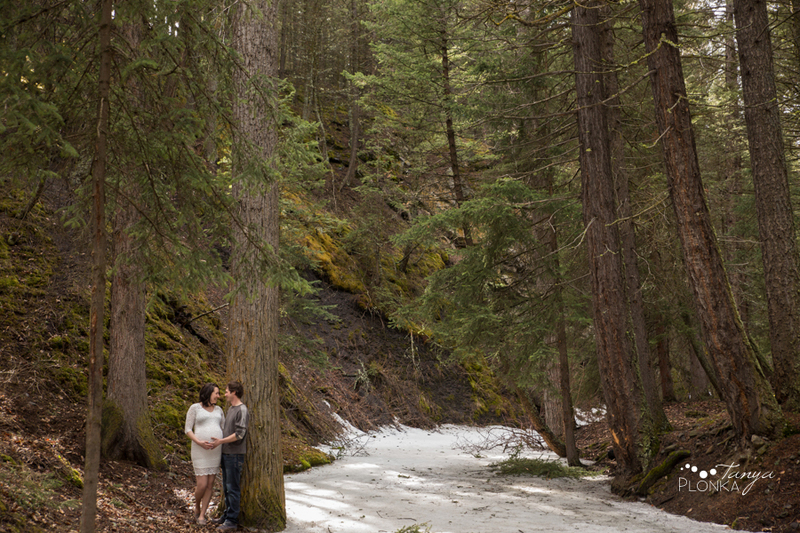 Ashley and Scott celebrated the upcoming arrival of their baby with Coleman, Alberta maternity photos just before the Easter weekend. Ashley was a stunning mother to be in her white lace dress, which showed off her tummy so perfectly. Her and Scott are so romantic together from the quiet way he holds her to the gentle way he kisses her hand. They’re going to be amazing parents. We started out the session on the Miner’s Path in Coleman. Even though the leaves aren’t quite out yet for spring, the evergreen trees and abundance of moss gave us enough color. We just had to be careful to avoid the little patches of snow that were still hanging around! After that, we went over to “Scott’s mountain” (the one nearest his home town) and their dog Josie finally got to be included. Josie is a big softie despite her size (choosing to sit in my lap for a moment) and was so excited to smell all the interesting things in the field. She was so excited by the smells that it took a good 5 minutes before she cared about the silly noises I usually make for dogs! Ashley and Kurtis were expecting their first baby very soon. 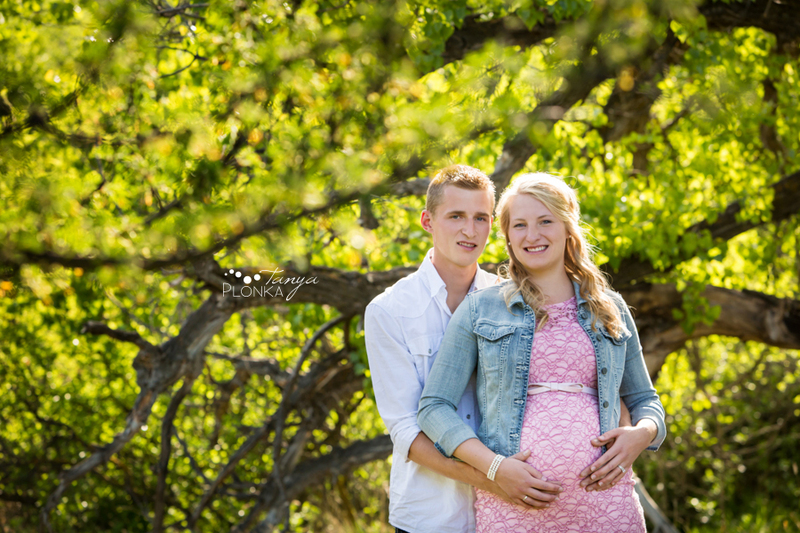 During their visit to Kurtis’s parents here in Alberta I met up with them for Lethbridge summer evening maternity photos to celebrate this milestone in their life. They are so excited to be welcoming a little one into their lives. The baby is going to have an amazing mom and dad judging by the love they radiate together! 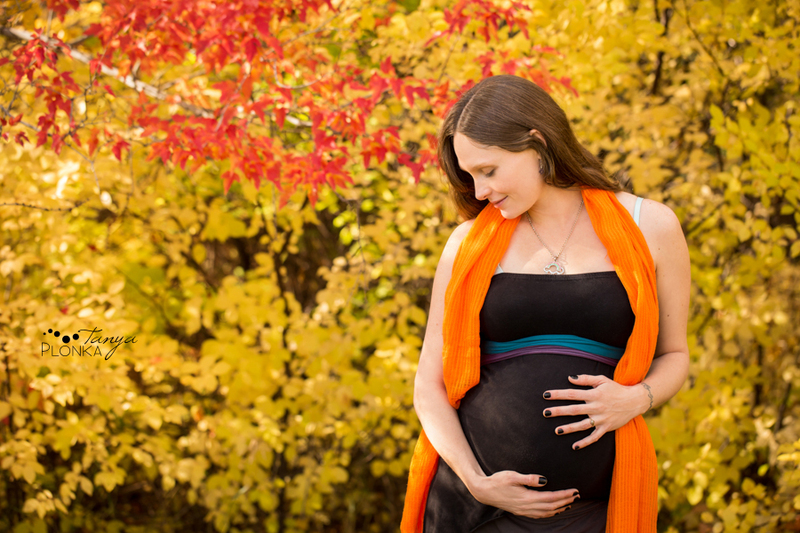 I love hearing from my past brides and grooms and finding out they are growing a baby bump! 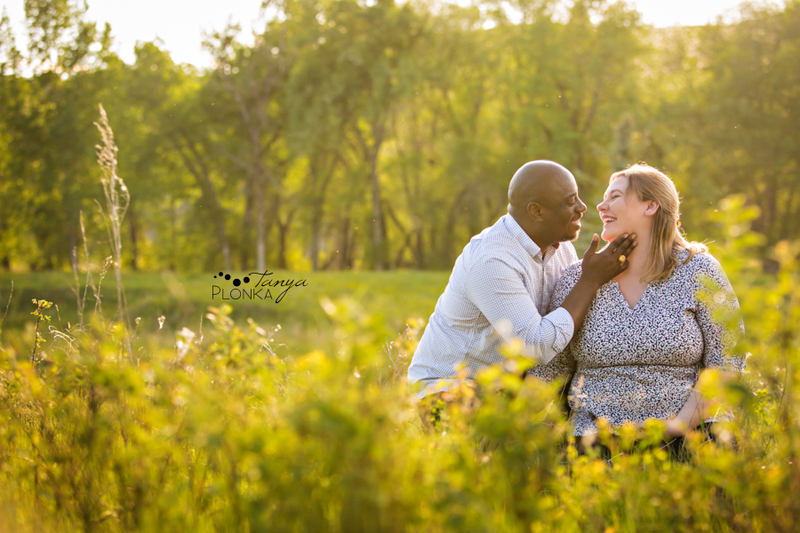 Emily and Jeremy are starting their family and we were able to get together for a Helen Schuler Nature Reserve maternity session on a gorgeous spring evening. We met up at the Helen Schuler Nature Centre and made our way to the High Level Bridge, stopping at every gorgeously lit spot along the way. Emily is an absolutely beautiful mother already and it was wonderful to see the bond between her and Jeremy again. They are so excited to meet their little one! I’m so excited to see Ross and Erin’s family growing! After knowing them for many years and photographing their wedding, I’ve come to know them as super sweet people with great senses of humour and know they will make amazing parents. 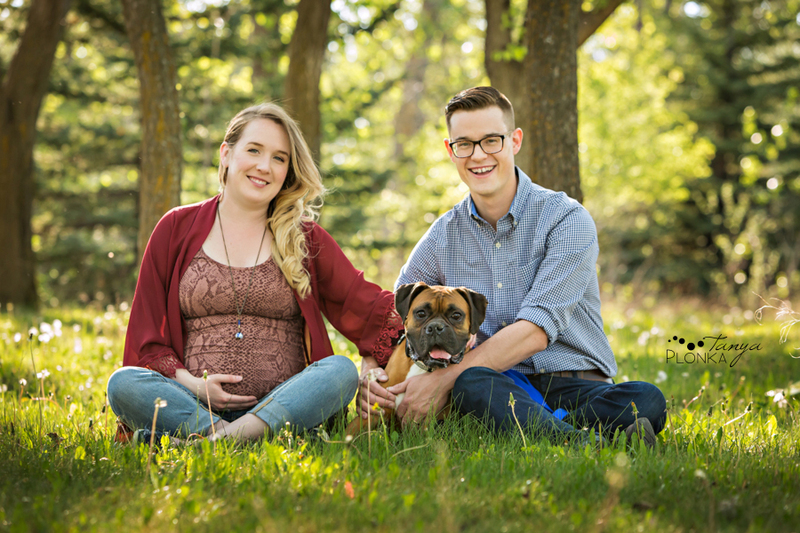 They brought along their adorable dog Lazer for their late spring maternity photos at Aperture Park at the University of Lethbridge and I can already tell he’s going to make a great big brother ;) It was such a beautiful evening for photos and almost felt like summer. Becky wanted some of her photos to have a rainbow feel, and I think with all the rich fall colors and her fun outfit choices we really pulled that off!